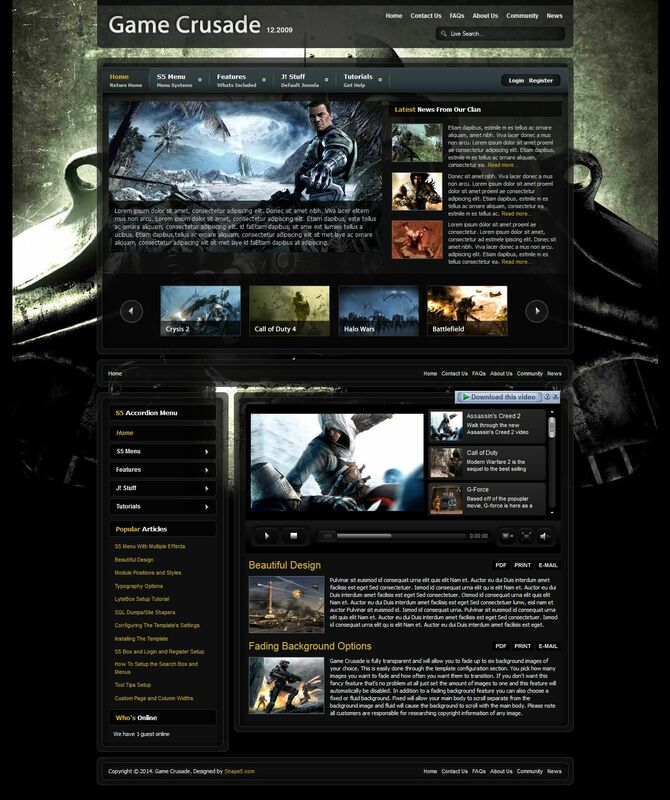 S5 Game Crusade - multifunctional gaming template from the design studio Shape5. Substitution has a dynamic background (bekgraunda) and can rotate up to 6 images, and also supports transparency. The template includes himself branded studio expansion: S5 Clan Roster Componet, S5 Accordion Menu, S5 Live Search, S5 Box, S5 Image Set Rotator. Contains 25 module positions.